Have you seen doctor after doctor trying to find out the cause of your symptoms? Did your doctor give you a prescription drug for each symptom and send you on your way? If so, please know that you are not alone. Thousands of patients are on this frustrating journey with you, and there is a solution. More often than not, the symptoms of hypothyroidism are treated as individual diagnoses. If you are realizing that a medication won’t solve the underlying cause of your symptoms, then you are right. Take a look at some of these symptoms and learn what you can do to resolve them naturally. 2. Chronic Fatigue Syndrome – Fatigue is one of the most common symptoms of hypothyroidism. With hypothyroidism, your metabolism slows down and you don’t have the energy you need to function well, and the result is fatigue. 3. Depression – Research shows a definite connection between hypothyroidism and depression, as it has been well established that depression is a symptom of low thyroid function. People with depression often have low levels of thyroid hormone. 4. Irritable Bowel Syndrome – Hypothyroidism causes constipation. It slows down your digestion. There have been many studies showing that those with thyroid dysfunction are prone to developing gastrointestinal issues. 5. Migraine Headaches – Hypothyroidism causes your metabolism to slow down, which slows your circulation and causes your body to retain water and mucin. The blood vessels and tissues in the brain swell and cause a migraine. Fatigue, which accompanies hypothyroidism, is often associated with migraines and can play an important role in initiating migraine attacks, as well. Research suggests that patients with hypothyroidism have a higher risk of lifetime migraines. Research demonstrates that after thyroid hormone replacement, hypothyroid patients reported alleviation of their headaches. 6. Anxiety – Research shows a definite connection between hypothyroidism and anxiety. People with anxiety often have low levels of thyroid hormone. 7. Muscle and Joint Pain – Hypothyroidism can cause muscle aches and tenderness, and joint pain and stiffness. Hypothyroidism causes muscle and joint pain because fluid retention causes the swelling of muscles, and the swollen muscles press on nerves. Treating with thyroid hormone replacement offers great improvement and often resolves these symptoms. 8. Insomnia – Hypothyroidism is a common cause of poor sleep and insomnia. Thyroid hormones improve the quality of sleep, allowing you to spend more time in deep phases of sleep. It is also helpful for sleep apnea. 9. Memory Loss – Because the brain uses so much energy, individuals with hypothyroidism (slowed metabolism and less energy) tend to experience a decline in their mental sharpness, or brain fog. It becomes difficult to maintain focus, sharp memory and clarity. Low thyroid function is a common cause of brain fog, difficulty concentrating and short term memory loss. 10. Elevated Cholesterol – Adequate levels of thyroid hormone, especially the active form of the thyroid hormone, T3, are essential for the metabolism of cholesterol. In order for your body to remove excess cholesterol, the liver must be functioning optimally. Your liver converts the extra cholesterol into bile, which then leaves the body through elimination. If adequate amounts of thyroid hormone are not supplied, the liver’s ability to remove cholesterol out of the plasma is compromised. Research shows that hypothyroidism is one of the most common causes of high cholesterol. Why didn’t my doctor diagnose me with hypothyroidism? So, if hypothyroidism is a common cause of the above symptoms, then why aren’t doctors catching this? The answer is simple – if your doctor tests you for hypothyroidism, he most likely does one single blood test – the TSH (thyroid stimulating hormone). This lab test fails the majority of patients. The TSH test has a lab range that is so wide that the majority of people fall within the normal range, even though they are hypothyroid. Don’t let this happen to you. If you are experiencing any of the symptoms of hypothyroidism, but your doctor told you that your blood work is “normal”, then it’s time to get a second opinion. 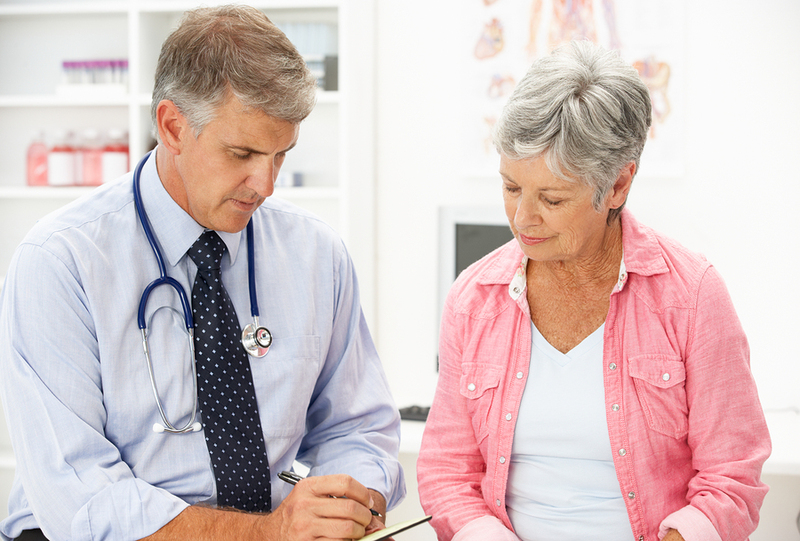 It’s important that you find a doctor who will listen to your symptoms, evaluate you according to your clinical history and basal body temperature. At Hotze Health & Wellness Center, we treat hypothyroidism with bioidentical desiccated thyroid hormone replacement and incrementally adjust your thyroid dose until your symptoms are resolved. Take our symptom checker health quiz to find out if you could have hypothyroidism.